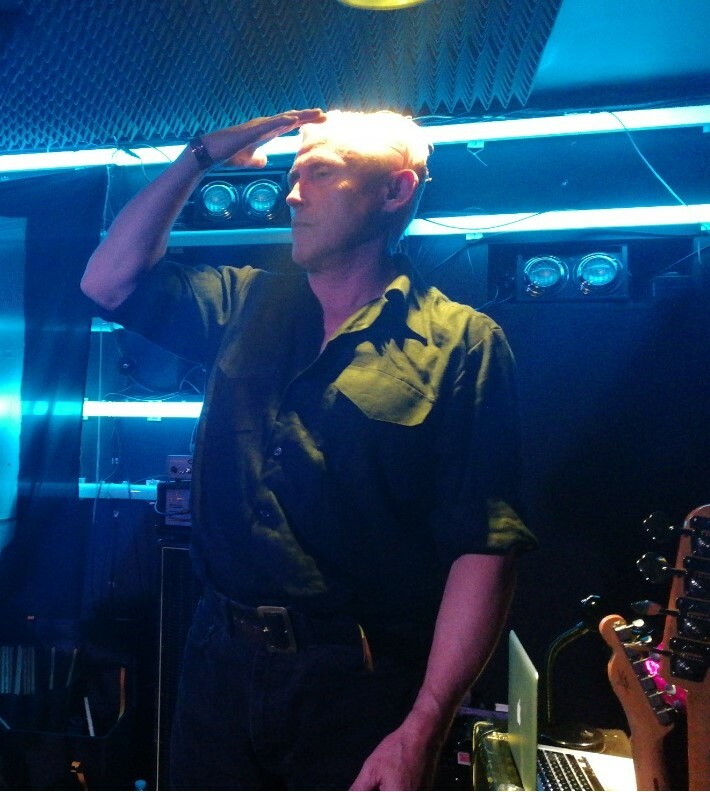 Listen up folks! 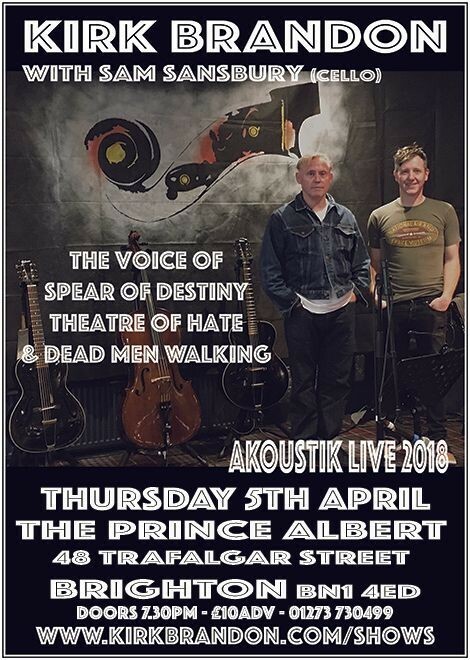 The legendary frontman of Theatre of Hate and Spear of Destiny, Kirk Brandon, will be performing a special ‘aKoustiK/listening party’ at the Prince Albert in Brighton on Thursday 5th April. 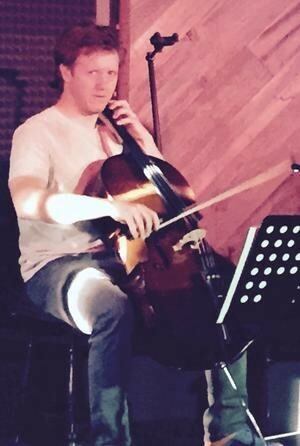 Kirk will be accompanied by Sam Sansbury on cello and they will be performing acoustic versions of compositions from the forthcoming Spear of Destiny album entitled ‘Tontine’.